A new program will be giving students in residence the opportunity to try foods they’ve never eaten before. The Bear Necessities program offers students living in residence the opportunity to submit dishes they miss from home and have them prepared in their dining hall. It was started by Dining Services, in collaboration with the Food Ambassadors — students who work in residence and provide feedback to Dining Services from residents. The program was launched at the start of the winter semester. 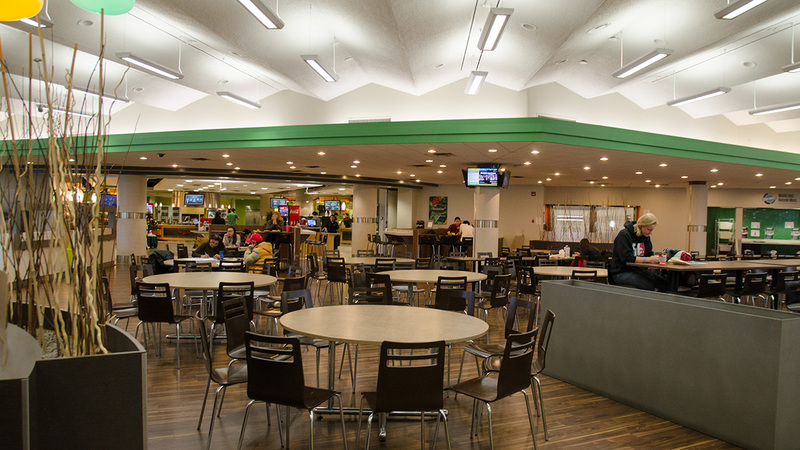 The program is offered at the Lister Dining Hall as well as at Peter Lougheed Hall (PLH), and students can choose where they’d like their dish to be featured. Madison Côté, marketing manager for Dining Services, said the idea for the program came from student feedback and conversations with the Food Ambassadors. The program is designed for students to tell Dining Services about a dish they might miss from home, she said. “People get homesick, or just that they really love something, so [the Bear Necessities program is] definitely one of those cool programs to bring over here and get people excited about,” Côté added. Côté added that so far, the program has gotten positive responses. The first dish, submitted by Julie Reynders, a Dutch exchange student in the faculty of law, was made at PLH on February 6. 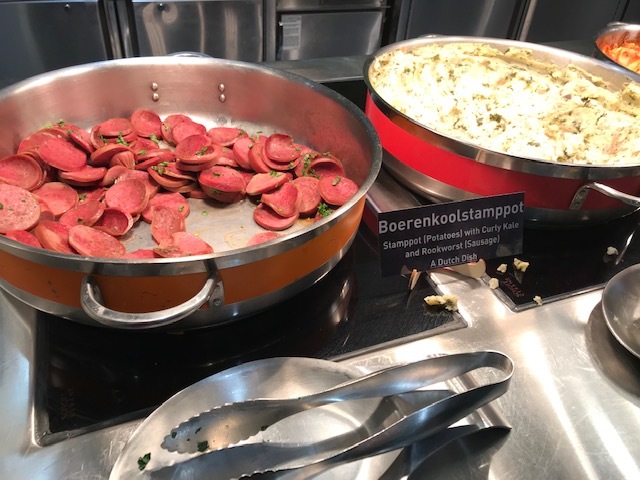 The dish, called boerenkool met rookworst, is a traditional Dutch recipe made with sausage, kale, and mashed potatoes. Reynders said she submitted her dish in case she was feeling homesick during her stay. Reynders said she would recommend the program to other students, and added that it was really nice to have other students trying food from her culture. “To also see your friends, who are from all over the country or all over the world, tasting it, they were like ‘Oh okay, so this is what Holland tastes like,’” she said. Côté said one of the benefits of the program is allowing students to try new things they might not have tried before. “This definitely gives people a chance to try something that’s a little bit more international… more authentic,” she said. Côté added, such as if it’s a breakfast or lunch dish. Even though fewer than 25 recipes have been submitted as of late February, Côté said it’s a new program, and people were very excited about the first dish at PLH. She hopes now that people have seen the first one, there will be more submissions. The frequency of dishes in the dining halls will depend on submissions, she said, and they’re very excited to see people embracing it. “The more that we can get people submitting, the more fun that we get to have,” she said. Students can submit their dishes online via a Google Form that can be found on Dining Services’ Campus Dish website, where they can submit the recipe. Students can also add special instructions, such as the time of day when it’s served or any variations. 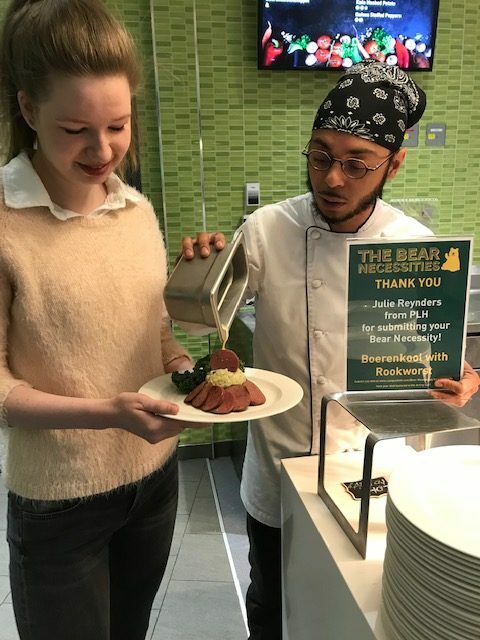 When a dish is featured, a yellow bear symbol will be put under the dish name in the dining hall to show that it’s a student suggested dish. Overall, Côté said the idea for the program was for it to encompass all types of cuisine and to allow students to get food from their home. “Honestly, food makes a big difference,” she said.